We all have those vivid memories of family gatherings that involve traditions around food. One of my favorites includes my late grandmother “Edie”; at any family get-together she arrived with raw oysters and a sleeve of saltine crackers. Each family member would be encouraged (expected) to have one, even the great-grandchildren. On the day of her funeral, we all celebrated her life with a champagne toast chased by an oyster. My children never met their great-grandmother, but we hope to keep tradition and stories alive. So whenever we get out the oysters we tell stories about great-grandma Edie. Our girls will eat anything but as the proverb “Life is brightest, where food is best” states, we remember great-grandma with this delicious oyster recipe below. 24 shucked oysters, half of each shell reserved and washed. 1. In a bowl combine all ingredients listed above for the seasoned butter and mix thoroughly to combine. Transfer butter mixture to a piece of plastic wrap and roll up to form a tight 3” loaf. Freeze until firm. 2. I highly recommend making these on a Weber Charcoal Kettle to enhance the flavor. Pre-heat on high heat (450-550F) by using a full Chimney Starter of charcoal. 3. 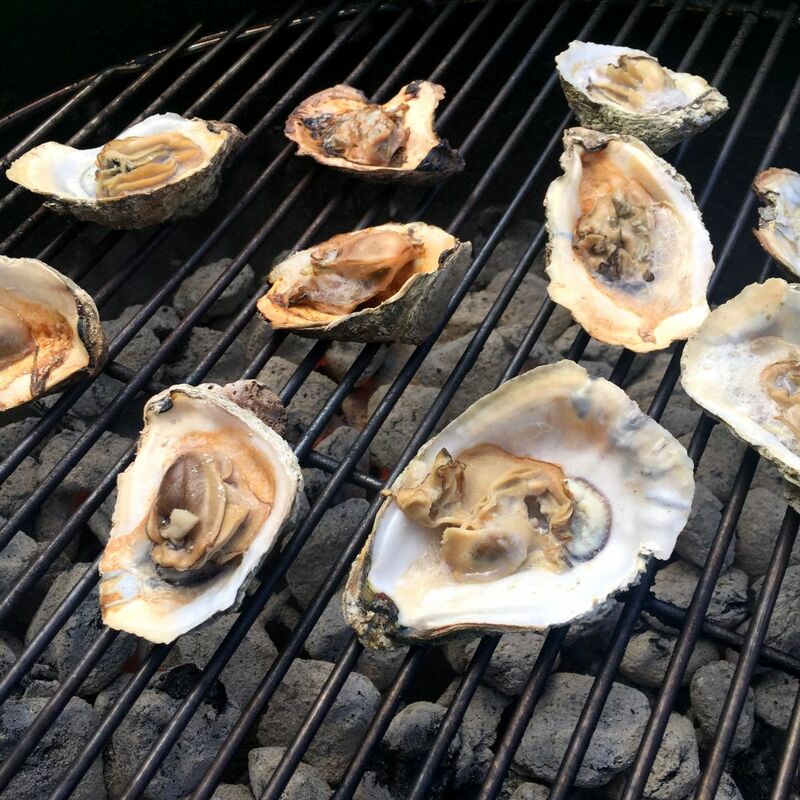 Place the prepared oysters directly onto the cooking grate over direct heat. 4. Grill for approximately 5-6 minutes. You will know they are done when the juices start to steam and the edges curl. 5. Remove the butter from the freezer and unwrap. 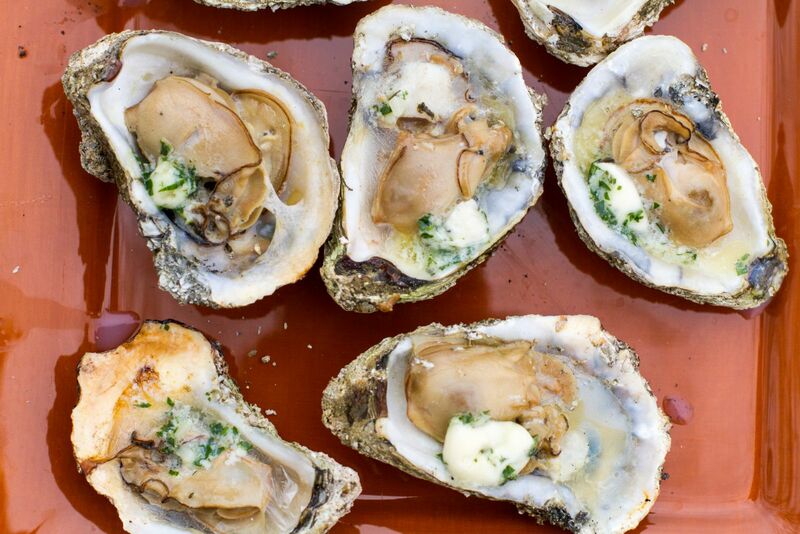 Slice the butter into ¼ inch slices and place a slice on the top of each oyster.